Most patients treated for heel pain have been suffering for months and months before they walk through a New York podiatrist’s doors. 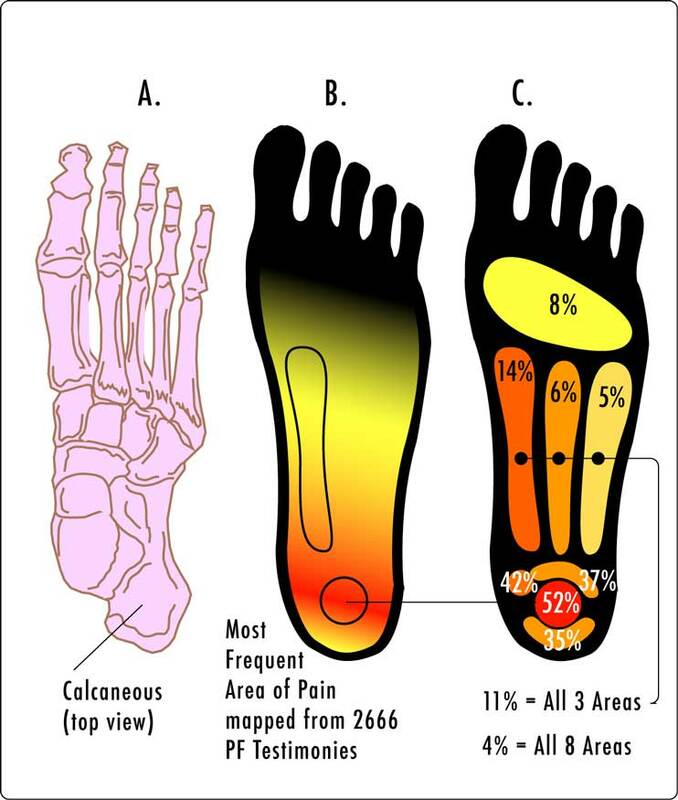 Plantar fasciitis, as it’s called in our office, is a common foot injury that occurs when the thick band of tissue running along the arch, connecting the heel bone to the toes, becomes inflamed. In particularly bad cases, the inflammation is caused by small micro-tears and the pain is excruciating. Foot experts at The Center for Podiatric Care and Sports Medicine say it’s best to treat heel pain sooner, rather than later for the best results. “The mornings were just excruciating until I’d taken the first five or six steps,” Canada Resident Connie Glen told CTV News Toronto. Every time she got up from her desk, the stabbing pain started again. The pain was worst after periods of rest, but also worsened as the days wore on. Connie spent $2,000 to treat the condition and is not fully healed yet. It is believed her condition flared up after starting yoga and pilates twice a week, which involved a lot of “up-on-your-toes” work. In addition to increases in activity, plantar fasciitis can be caused by repetitive activities, improper footwear, tight calf muscles, or obesity. About 90 percent of cases can be traced back to a biomechanical reason — simply the way a person stands, walks, or runs. Treatment involves multiple “ingredients,” and it can be hard to predict which therapy will work for a particular patient. Usually we start with simple things people can do — rolling a cold water bottle or tennis ball beneath the feet several times a day to stretch the plantar fascia. Pulling the toes up toward the nose, holding it for half a minute, and repeating before getting up can limber the feet for those first few steps. About a third of patients will do find with basic stretching and footwear modification. The next level of treatment involves corrective measures to treat the biomechanical issues at play. Special overnight slings or foot taping can correct the foot’s positioning if it is rolling inward too much. A better option is to have the podiatrist make a custom orthotic insert that sits in the shoes, adding cushioning and correcting alignment issues. Physiotherapy, acupuncture, deep massage, cortisone shots, laser ultrasound, and shockwave therapy are all other treatments that may be used to calm the inflammation. We offer high-tech shockwave therapy here at our NYC sports medicine clinic. This treatment is effective in about 80 percent of patients, especially those who have not responded to other types of treatment. The device takes an area that has become scarred by a continual state of inflammation and creates a fresh injury that then heals. While minimally invasive and much gentler on the body than surgery, the treatment can be a bit painful. We use a local anesthetic and can prescribe pain medication to get you through the first few days. You should abstain from strenuous exercise for a few weeks, but can return to work right away. Set up your appointment at our Manhattan or Westchester office here.